↑ (PDF) A New Way of Seeing Country Social Responsibility. Alexandru Ioan Cuza University. p. 6. http://www.fssp.uaic.ro/argumentum/Numarul%2010%20%282%29/Articol%20Cozmiuc.pdf. Retrieved January 16, 2014. ↑ "[시행 2016.8.4.] [법률 제13978호, 2016.2.3., 제정] (Enforcement 2016.8.4. Law No. 13978, enacted on February 3, 2016) (in Korean)". حاصل ڪيل July 26, 2017. 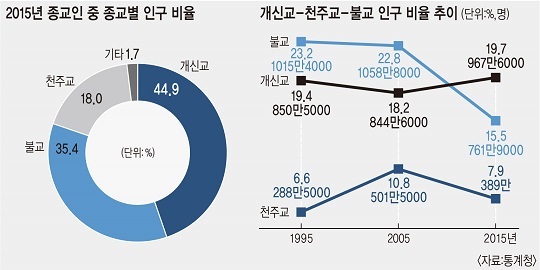 ↑ official data regarding ethnicity is collected by the South Korean government. At the end of 2015, approximately 4% of the population had a foreign nationality. ↑ Many researchers 지표상세 آرڪائيو ڪيا ويا September 6, 2015, حوالو موجود آهي وي بيڪ مشين.. Index.go.kr (July 19, 2016). Retrieved October 5, 2016. ↑ "Population Projections for Provinces (2013~2040)" (PDF). Statistics Korea. حاصل ڪيل May 20, 2016. ↑ "Major Indicators of Korea". Korean Statistical Information Service. حاصل ڪيل September 9, 2016. ↑ 9.0 9.1 "South Korea". International Monetary Fund. ↑ "Distribution of income (Gini index)". e-National Index. Daejeon: Korea National Statistical Office. حاصل ڪيل June 30, 2017. ↑ "2016 Human Development Report" (PDF). United Nations Development Programme. حاصل ڪيل March 23, 2017.